Comes with Gym Quality Flat Incline Decline Dumbbell Workout Bench with a 600 lb capacity. With the Body Solid Corner Leverage Gym you will be able to perform shrugs, squats, dead lifts, biceps curls and everything in-between more easily and effective. With a revolutionary space-saving design the GLGS100P4 fits comfortably into most home and commercial settings. With an all-new, high-tech / high-gloss anodized red finish, this gym not only stands out for its performance but also its looks. The swing arm / press arm station has a large radius to greater simulate a straight up and down motion. The press arm bar can also be raised to its highest position allowing the GLGS100 to be used as a pull-up / chin-up station. An adjustable knee lock-down makes lat pulldowns easier than ever while the low pulley station is perfect for curls and multiple row exercises. Attached weight horns make weight storage easy. Includes Lat Pulldown Bar and Revolving Cable Handle. Body-Solid offers you a wide selection of home gyms and the Body Solid Corner Leverage Gym Package GLGS100P4 is the most unique. Functional training and group exercise are two of the most exciting trends in the fitness industry. The Body Solid Corner Leverage Gym Package GLGS100P4 is perfect for fitness enthusiasts looking to get the most current exercise trends in the comfort of their home. 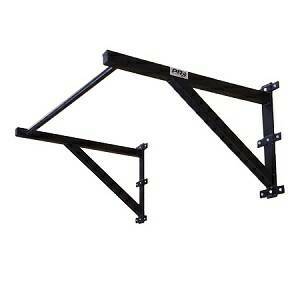 Affordability, sharp design makes this a great choice for you fitness equipment needs. 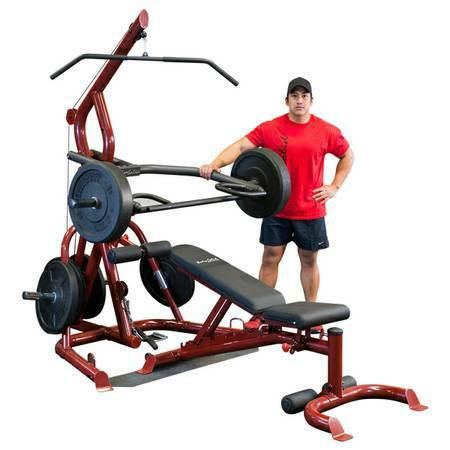 The Body Solid Corner Leverage Gym Package GLGS100P4 is durable, dependable, and affordable. Body-Solid is here to make sure you get the absolute most from your workout, the ability to push your limits, the room to excel. Body Solid Corner Leverage Gym Package GLGS100P4 is an industrial strength training partner that doesn't try to change how you workout, it works with you.